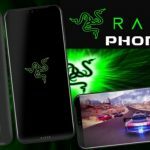 Razer Phone Release Date, Price, Specs, Features & Hands On Review! 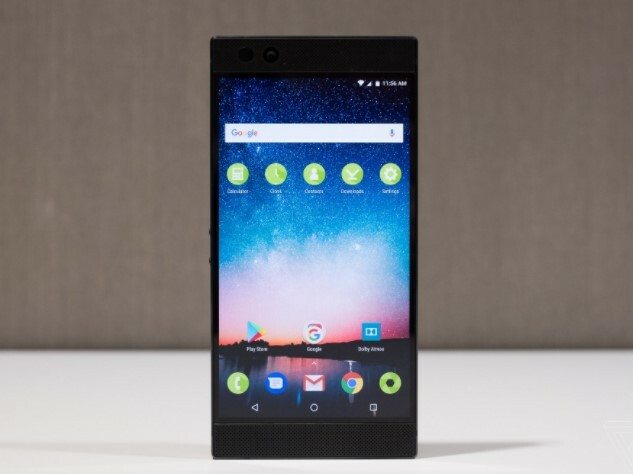 A few weeks ago, there have been rumors about a Razer Phone. The famous brand of computers and peripheral oriented gaming, which emerged after buying that brand, only introduced a device. The American firm was already working on a mobile focused on a gamer audience and this has just become official. High range with great specifications, and designed to enjoy with our favorite video games. 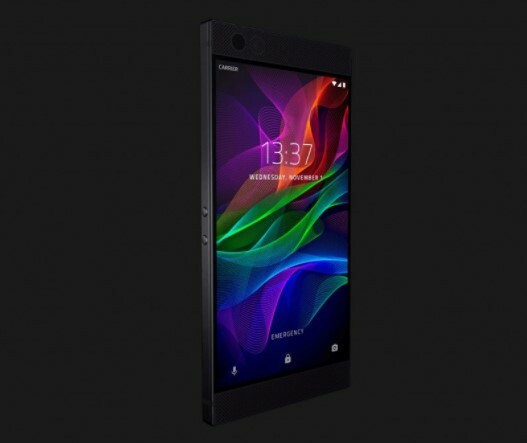 Here you have all the information about the Razer Phone. 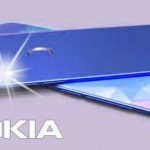 So do not lose detail about what can be the phone of your dreams. Currently, smartphones have enough power to move any type of game or emulator, and firms know it. 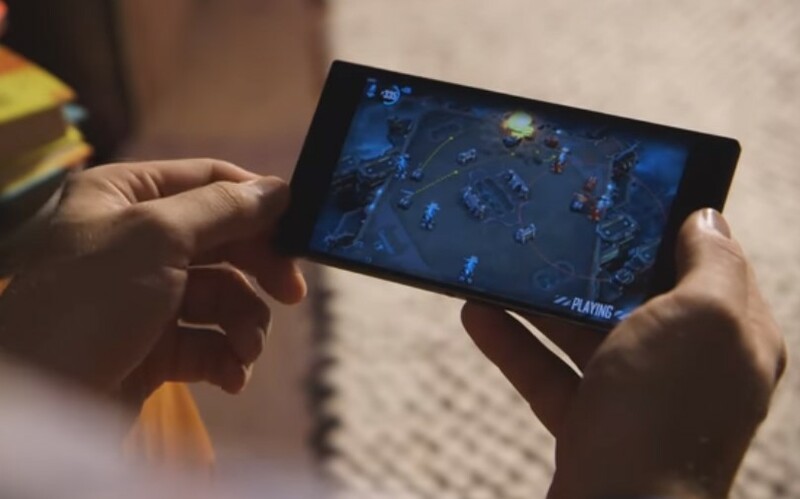 Razer phone has wanted to take advantage of this market situation to launch a mobile gamer. A concept that already emerged a few years ago with projects such as Nokia’s N-Gage but taken to another level. 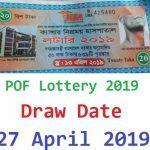 It is going on sale from 17th November 2017. Razer proposes a panel of 5.72 inches with QHD resolution (2560 x 1440 pixels). The best thing is, without a doubt, its refresh rate, which reaches 120Hz. The most expert players will know that a good refresh rate on the screen can translate into a good advantage. When playing, especially in certain types of games such as the shooters. We must mention the Ultra motion technology. It is responsible for synchronizing GPU screen. The experience when playing is as smooth as possible. It is somewhat similar to Nvidia’s G-Sync technology. 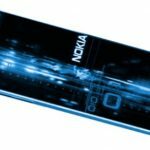 This synchronization will allow that the GPU does not have so many loads, with the consequent saving of battery that this supposes. A battery that is also worth noting but we will comment later. Apart from the panel, it has wanted to offer a good section of audio on his Razer Phone. The terminal arrives with a double stereo front speaker with Dolby ATMOS technology. Double amplifier will delight our ears within minute one when we open a game. The processor that gives life to this terminal is the already known Qualcomm Snapdragon 835. It’s accompanied by an impressive 8 GB of RAM more than enough for the whole to run smooth and have an extensive life. As for storage, the smartphone has 64 GB internal memory. There are no versions with more memory, which can be extended by microSD cards up to 256 GB. All this hardware, accompanied by Ultra motion screen technology and 120 Hz. It should translate into one of the best experiences when playing on a smartphone. 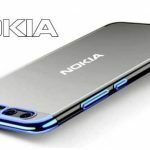 The battery is one of the most important points, and more smartphone thinking to spend a lot of time playing. We find 4000 mAh that, according to the company. It offers us up to 7 hours of play 63.5 hours listening to music, or 12.5 hours playing video. 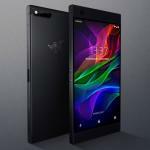 Razer Phone is the first on the market with Qualcomm’s Quick Charge 4+ technology. It is capable of recharging 85% of a 3,400-mAh battery in just 1 hour. During the presentation, we could see different games that will reach the smartphone. Some of them will even have special versions to take advantage of the 120 Hz of refreshment. This is the case, for example, of the MOBA Arena of Valor. 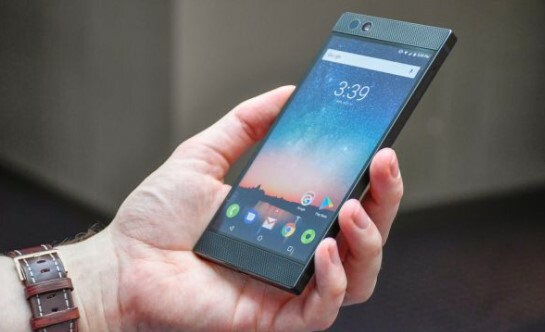 The event also showed games such as FF XV Square and Razer have reached an agreement to improve their visual section in the Razer Phone. Razer Phone has created its own theme store to customize the terminal to the maximum with different video game themes. In terms of photography, the terminal has a dual-sensor main camera both 12 megapixels with double-tone double-LED flash. As for the secondary camera, we have a single 8-megapixel sensor. 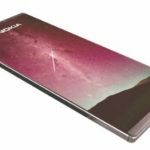 It also have a fingerprint sensor, and in terms of design and construction materials. 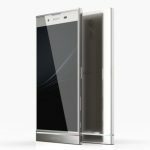 We have a device with an aluminum chassis that in a way reminds us of the appearance of the Sony Xperia. The price of the Razer Phone is $700 US Dollars. For now, the terminal can only be booked in the Razer Zone in the United States, Canada, and some European countries such as the United Kingdom and France, where there is still no official sale date. Finally, the day has come when it concludes the road started months ago. 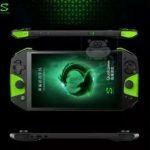 It will be a great manufacturer of accessories and products for Gamer entering the mobile technology.